Creamy Curried Chicken is a mild chicken curry dish that is quick to cook and is a surefire hit among families and friends who are curry lovers. 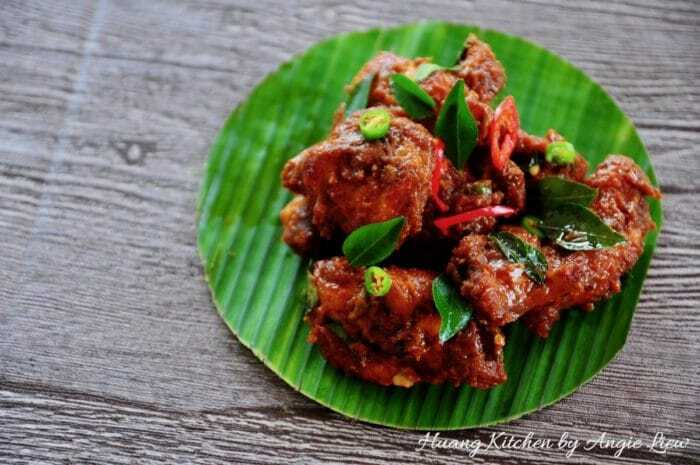 This easy wok/pan fried chicken is spiced with curry powder as well as fragrant curry leaves and flavoured with lemony essence from the chopped lemongrass. Adding a hint of curry powder gives the sauce an extra flavourful boost. It just improve the overall flavour of the sauce. 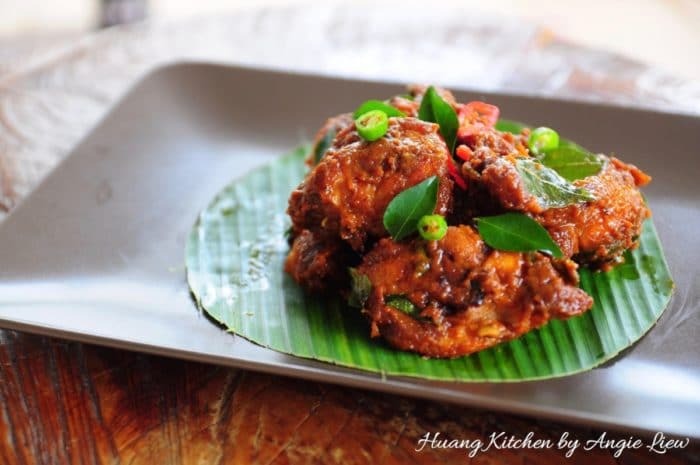 The chicken is first marinated, then deep-fried and later braised in a milk sauce until thickened. This makes the chicken tastes extremely smooth, creamy and simply delicious. 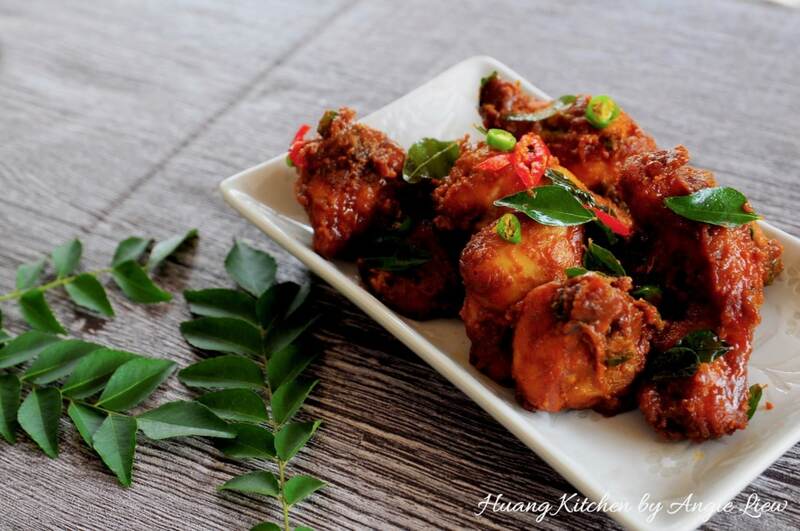 Adding a hint of chilli gives the chicken a little bit of heat and for the overall dish, full of flavours. May be a good compliment to serve alongside some Cucumber and Pineapple Pickles we made from previous week too. 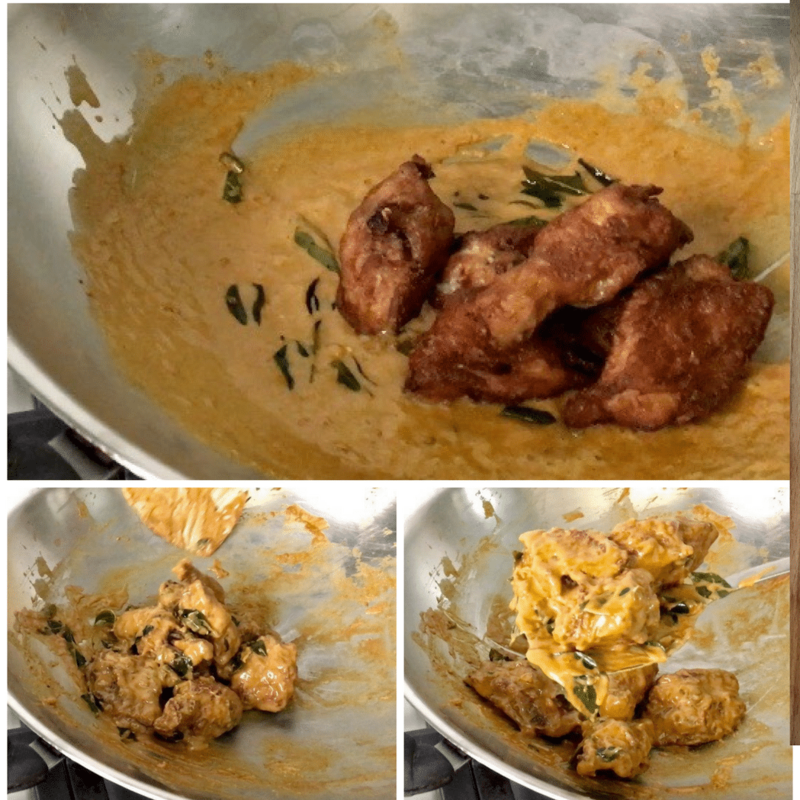 This easy Creamy Curried Chicken is spiced with curry powder and flavoured with lemony essence lemongrass fragrance. 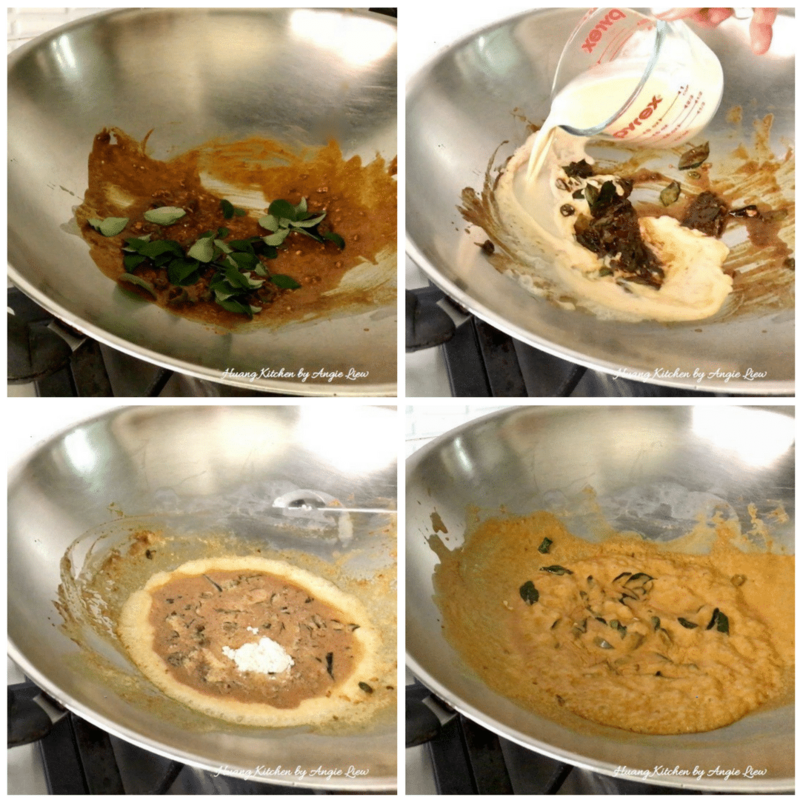 Its creamy, savory with a little bit of heat and extremely flavorful! A surefire hit among curry lovers! 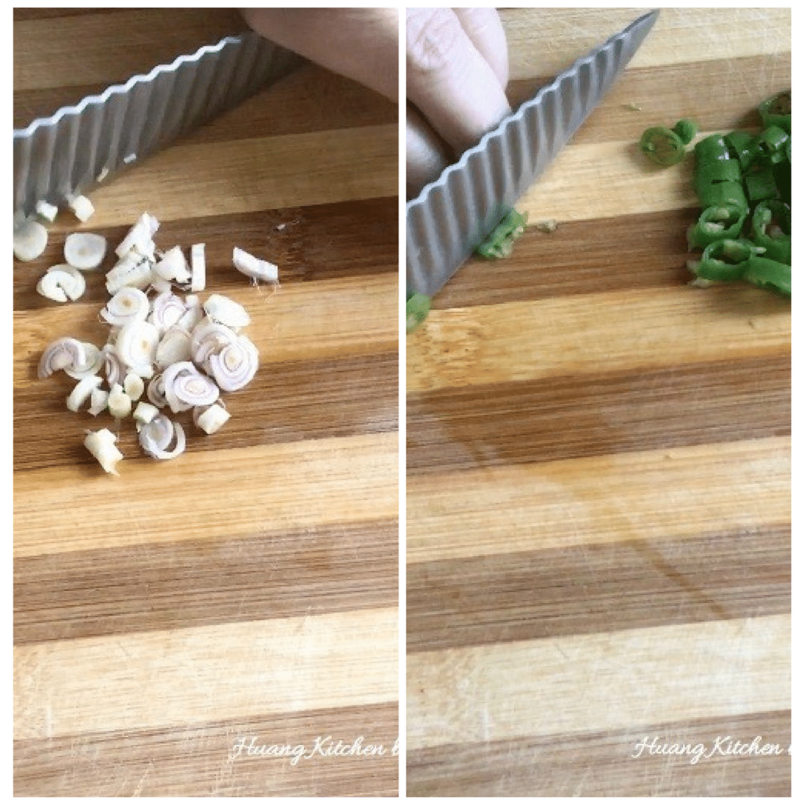 Start by chopping one lemongrass and dicing 4 or more bird eye's chillies. Then, cut chicken into pieces and season with marinade for at least 30 minutes. 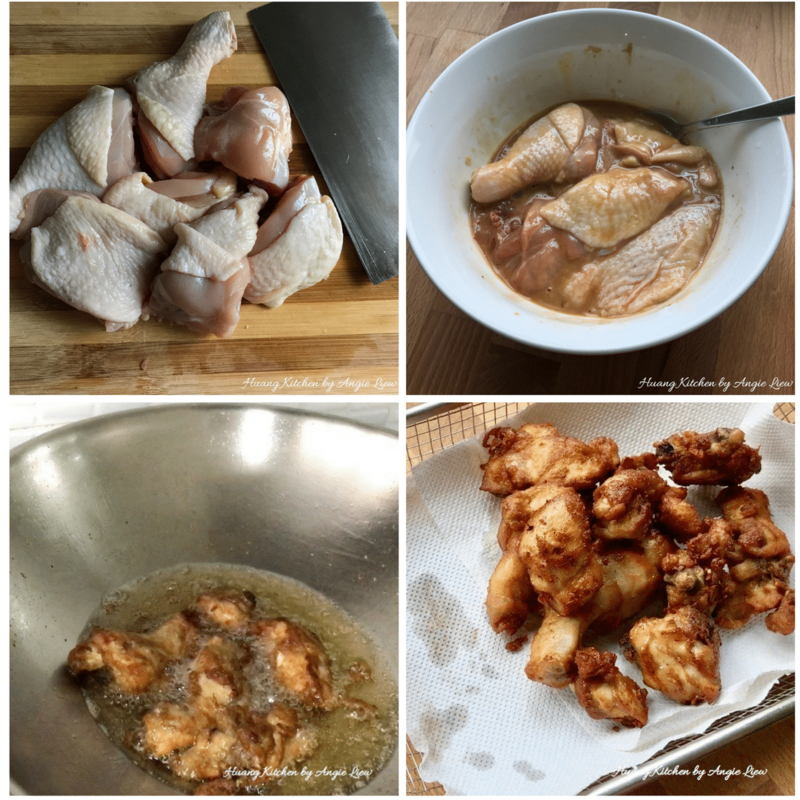 Using high heat, deep fry the chicken until golden brown in colour and crispy. Then, remove and drain well on paper towel. And we're ready to fry the chicken! To fry the chicken, first melt margarine / butter in a hot wok. Then, add curry leaves followed by bird eye's chillies and chopped lemongrass. Stir fry until aromatic. Next, add in curry leaves, evaporated milk and seasonings. Bring the sauce mixture to a boil. Then, add in the fried chicken and continue to stir at high heat until well combined and the sauce has thickened. Dish up and serve immediately. So Enjoy! You can use more or less bird eye's chillies, depending on own preference or to taste. Adding curry leaves into the hot water infuses aromatic curry leaves flavour into the oil. 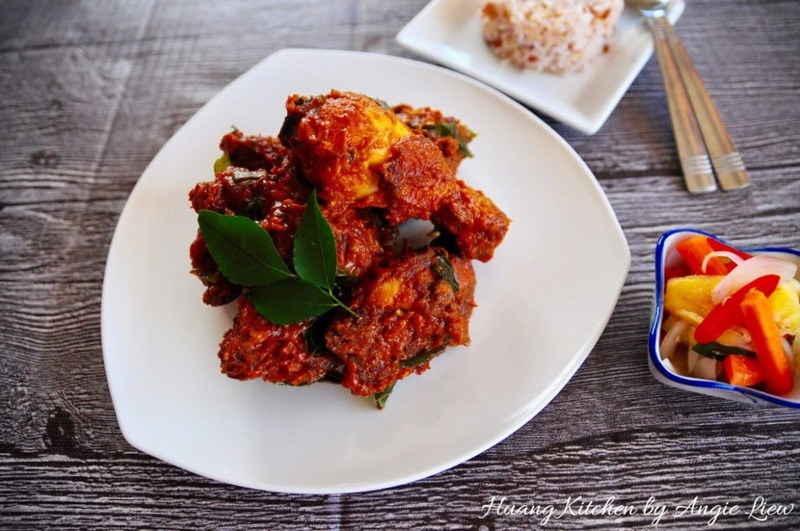 You can drained the fried curry leaves and use for garnishing the cooked curried chicken.